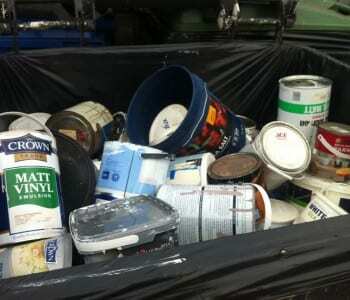 We offer a total paint and paint container waste recovery service. Water-based paints are treated so that the water is recovered. The plastic pots are washed, shredded and go on to the plastic recycling process. Solvent-based paints are processed similarly. The paint goes into the alternative fuel process and the metal cans are cleaned and treated for recycling.